In a move that makes them look 1)awesome and 2)more like casino chips, check out these new camo print Nerf XLR Vortex discs. 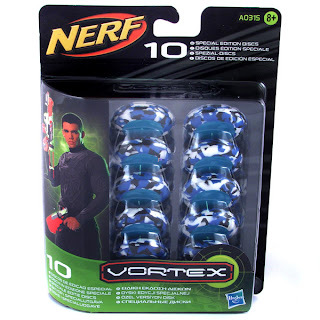 I think the 'shielded' Nitron is all but official news. Just gotta wait till it comes out I guess:) Cheers Jason again for the lead! The simultaneous two round shooting is the main focus for this ad, as it's the first time I can think of where a dart blaster and a disc blaster are advertised together:) Diatron and the Roughcut. 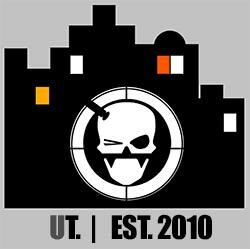 Coming to your TV screens soon (if not already). Cheers Jason for the heads up! 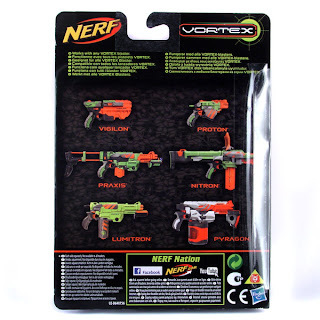 One of our readers was browsing thru the Hasbro website looking for instruction manuals and found this for the Nerf N-Strike Stampede. 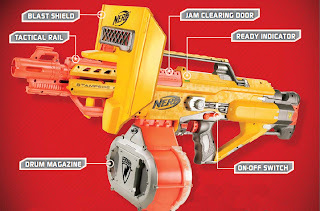 ECS-50- the much hyped but never eventuating blaster that it was 'SUPPOSED' to be. It's interesting because it shows just HOW close it came to being produced; we've seen concept art, box art, and now even a manual. "Hi Pocket. I'm interested to hear your thoughts on the new Rebelle line. 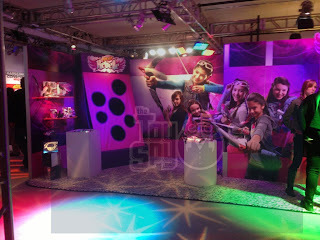 Do you feel girls really need their own line of blasters branded and designed specifically for them?" "What do you think about the new Rebelle line? 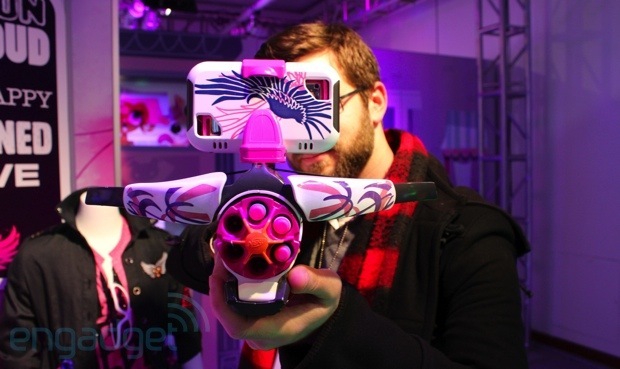 I like the blasters but hate the pink. Why do you think they did that?" 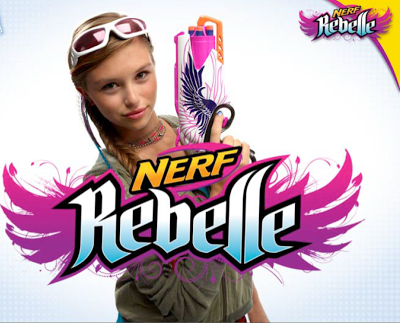 "Are you going to buy the new Rebelle series of blasters from Nerf?" Pics courtesy of the Toy Spy, but various sources all over the webs are buzzing over news from the NYC Toy fair, offering more info in the upcoming Nerf Rebelle line. It actually looks pretty cool; check more images after the jump as well as the Toy Spy's interview with 'Caitlin' who showcases the new phone app cradle, much like that found in the Lazer Tag Augmented Reality line. My Last Dart has grown rapidly over the past few months as a very good source of news for Nerf related stuff. 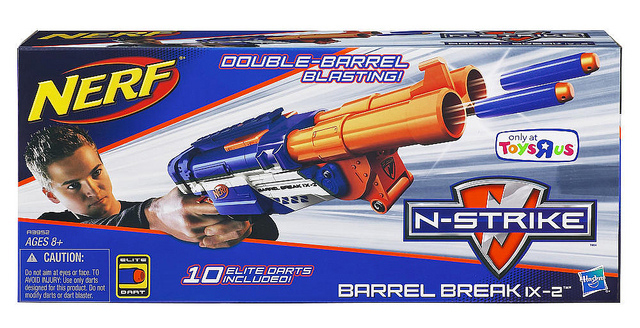 They've been able to reveal much of Hasbro's plans for Nerf for the new year- especially regarding the new Nerf 'Rebelle' line. 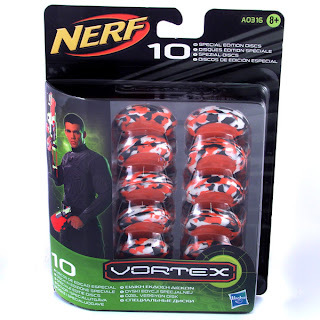 Collectable darts? :P Check out all the news on their blog. It's called the "Rebelle" line, and it comes in nice pinks and purples, and it's called a "Heartbreaker" bow, so we're going to have to make a generalist stab and suggest Nerf is targeting girls in their new series of gear. My intel comes from Jezebel who were kinda scathing at the concept, and I totally get why. 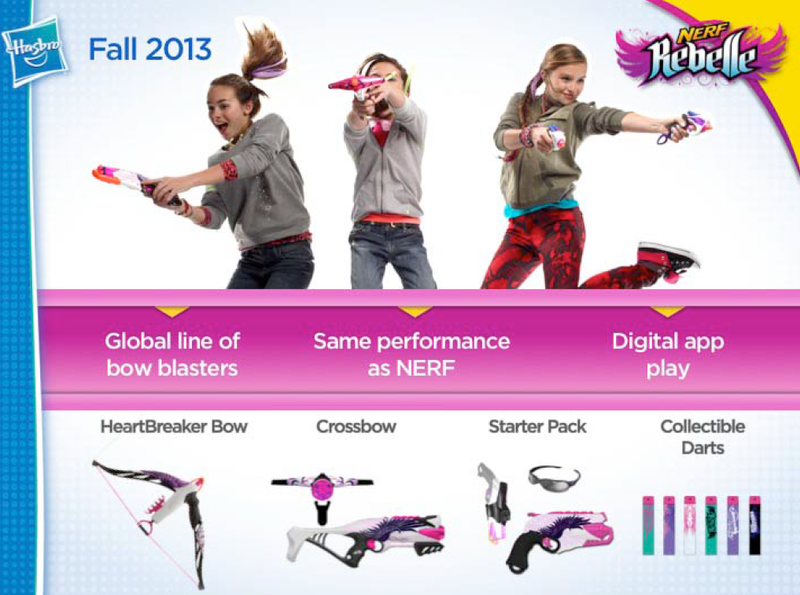 Will the new Rebelle range sit next to the N-Strike Elite range, or be located in the 'Girls toys" aisles? 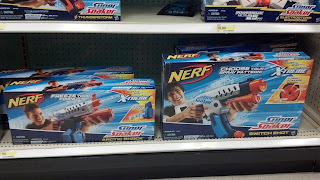 I guess at the end of the day, it's all about marketing, so whether you agree or disagree, there's still a distinction between "girls toys" and "boys toys" and it's all about selling as much product as possible. That all aside, it's pretty cool to see the bow return to the mix, and more importantly, it shoots (albeit pretty pink and green ones) elite darts rather than its own foam arrow. 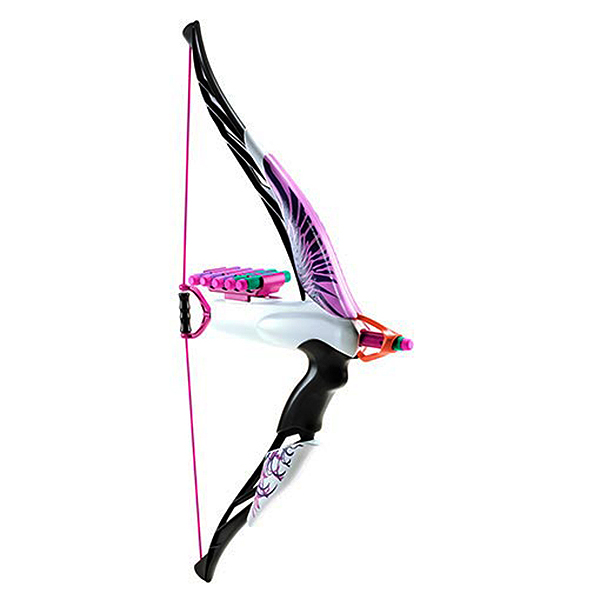 Feel free to paint it, or feel confident with your own sexuality and fight back against gender bias of colours and just shoot your opponents with a pink bow. A hit, is a hit, regardless of the colour, yes? Nerf Barrel Break IX-2: How Elite are you REALLY? Well this was a lil out of nowhere- while the official line from Nerf is that N-Strike has been discontinued, we continue to see odd numbers like this- the N-Strike Barrel Break IX-2 is to be re-released in Elite colours but no sign of Elite performance. 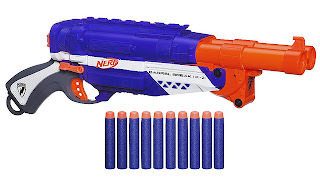 I mean it LOOKS cool (I'm a fan of the Elite blue) but no changes to the internals and the N-Strike logo still prominent suggests this IS just a repaint and contradictory to Nerf's official statement of N-Strike being discontinued! 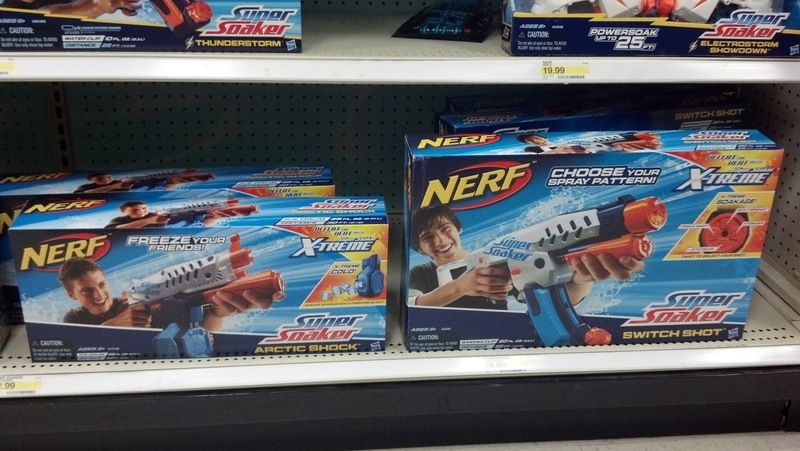 "we have found these water guns at a Target in Virginia, we only bought the Flash Blast, which can be slam-fired. the Switch Shot is capable of four different fire modes due to the rotation of the front of the gun." A few more pics sent to us after the jump. Thanks Tami!